Chris Parry is a Vancouver-based financial journalist who runs the investor information website Equity.Guru. He worked for five years at the Vancouver Sun and Province newspapers before taking over editorial at Canada's largest investment community at Stockhouse.com. 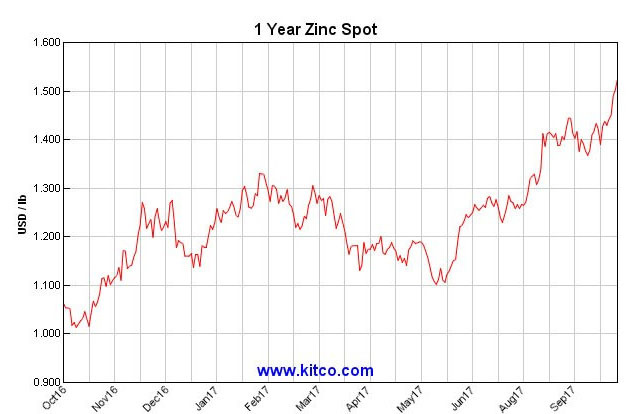 Zinc is on a hot streak right now, says Chris Parry of Equity Guru, who profiles one company that just announced a resource update for its California project. "SPR's acquisition in the pipeline creates water-soluble cannabis." "RHT now has 1000 patients into their system from two customers, and expect somewhere between 2000 and 2500 to be added next month."